i tend to love things in waves - in a sort of obsessive all or nothing sort of way. for example, last summer, after spending my whole life detesting avocados, i literally ate one every day for lunch for three months straight. see, i have a problem. so presently i've got a couple fashion obsessions. one of those is the maxi. 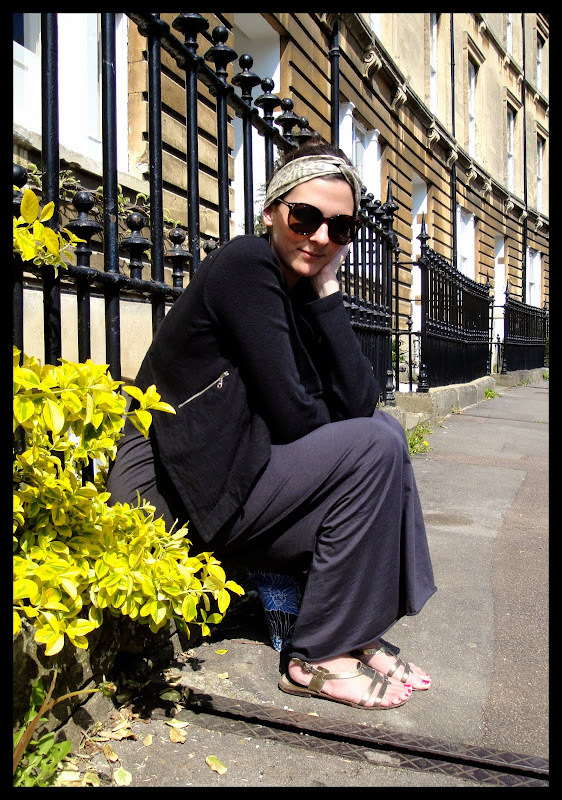 not the sort of floaty maxi dress that was so popular last summer but a new sort of maxi dress. i want it to be a solid colour and i want it to be very long. if it stops at my ankles that isn't long enough it needs to graze the floor - or come pretty darn close to it. and i don't want it to be full and whimsical i want it to be straight. i was warned that this sort of dress is seriously impractical - how are you going to walk if the bottom is small? how are you going to get on your bike? honestly, do you think i care about those sorts of things (i asked my husband). clearly, i do not. my first attempt at getting this covetable spring item was at topshop. i tried on a solid version of this and wound up looking like a total mermaid - to be honest i was trying to copy this look that i saw and totally loved - but the hip to ankle ratio was making me look rather ridiculous. so weeks passed and it wasn't until i stumbled across this little number at topshop that my maxi dress needs were met. now they've got it in three new colours and at 18 pounds a pop you seriously can't go wrong. if you haven't jumped into the maxi pond yet this is the perfect way to gently stick in your toe without sacrificing too much if it all goes horribly wrong. i for one am officially hooked. they are so easy and really feel so lovely to wear. my advice for wearing them though? you need to seriously consider your underwear situation - there is nothing worse than a beautiful silhouette destroyed my a nasty case of bum bulge. i opted for a long white slip from m&s to wear under it to conceal all the little lumps that you don't want anyone to see. next on my list is the asos lightweight maxi dress. after seeing olivia wearing it on friday it is officially on my wishlist. i think i'm going to go for it in the heather green and since it looks a lot looser than my topshop one maybe i'll be able to pass on the granny m&s slip. 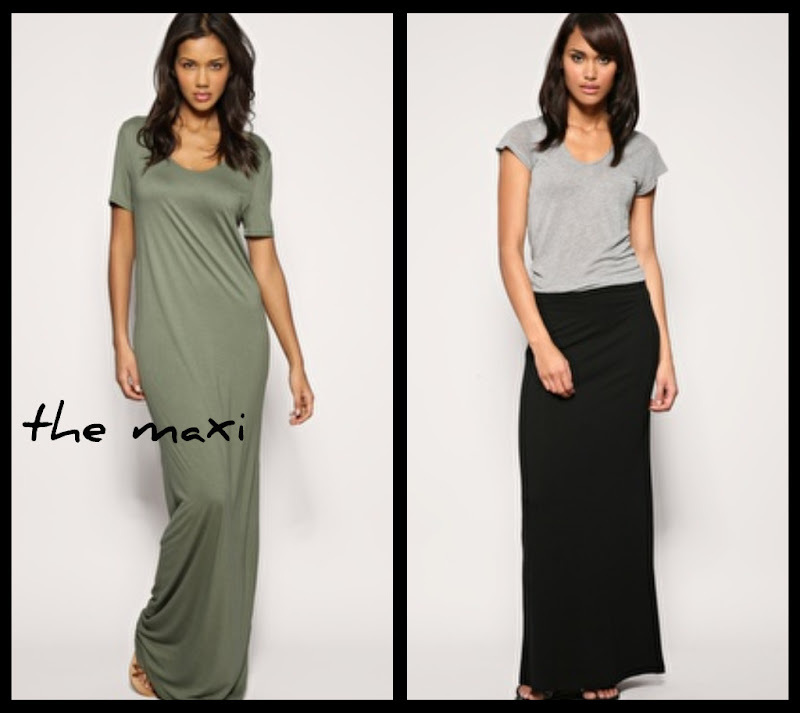 have you fallen for the maxi trend? or am i a lone wolf in this obsession?